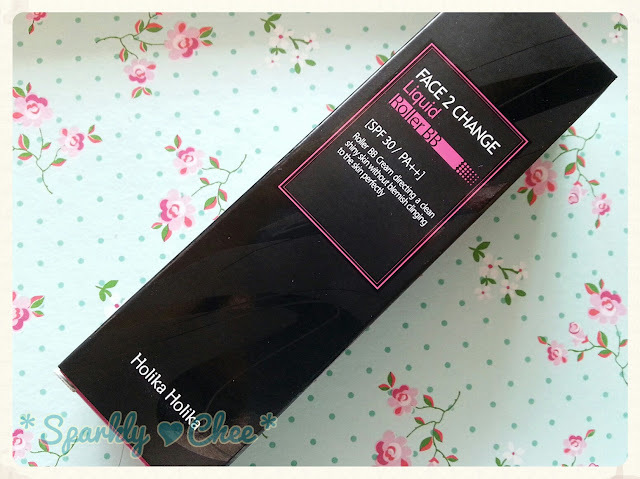 Anyways, I chose this BB cream to review because I've had great experiences with Holika Holika's ever popular Aqua Petit Jelly BB Cream, and was hoping this would be just as great. Also, I was interested because the BB cream is dispensed by a sponge roller, which is fairly unique. The packaging is simple, and I love the matte and glossy texture on it. 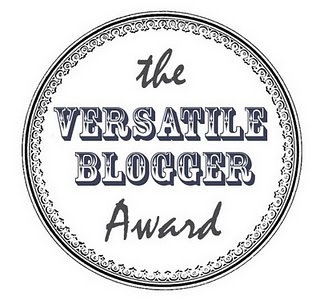 "Roller BB Cream directing a clean shiny skin without blemish clinging to the skin perfectly"
I'm really excited to do this post today because I got nominated by some awesome people for the Versatile Blogger Award! 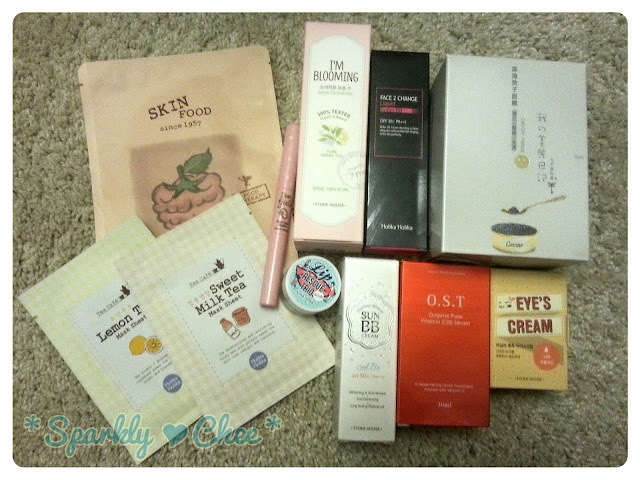 Big thanks to: Mindy, Krystal, Natalie, GaEul, June and Sample Hime for nominating me! ^o^ Please do check out their lovely blogs! Also, I am also tagged by Fraulein Schnee (Miss Snow) for the Beauty Blogger Tag! Thank you! This is going to be really fun. :D Please check out her lovely blog too! This is the second facial mist I have tried, first being the Skin Food Facial Ice Vita Mist, so I will be comparing some aspects to it. I love how it comes in a box, just like the I'm Blooming cleansers. 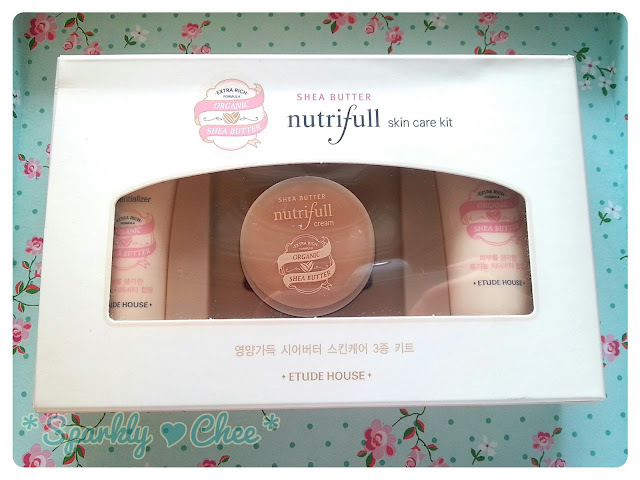 Today I have a long over due review, this Etude House Nutrifull Skin Care Kit was sponsored by Kocomall. Please check to see if you have won in the bottom of this post! 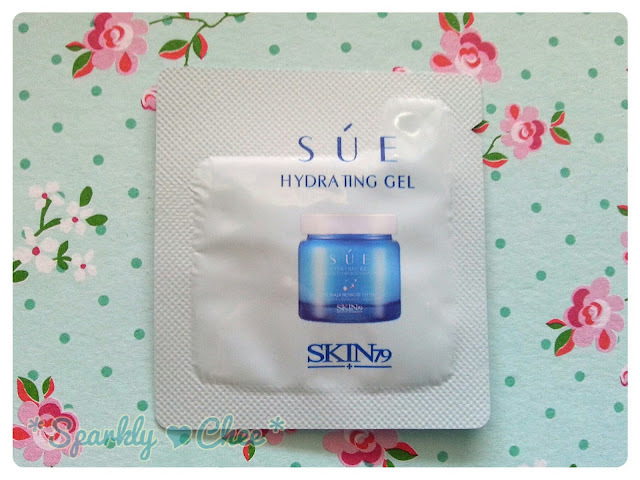 Anyways, after switching from the Etude House Moistfull Collagen Cream and Essence, which I was using before, I have started using this kit for a couple of weeks now, since I wanted to see if there was any long-term effects for the skin. This kit includes an essence, a cream, and a sleeping pack. I was very interested to see the nourishing and moisturizing effects of the Shea butter and Cloudberry, and how well it compared to the Moistfull Collagen skin care line. Also, the Etude House Cotton Fit BB Cream giveaway has ended! woot! Thank you all for joining the giveaway! I have randomly drawn a winner, and emailed them. Please check if you've won at the bottom of this post! 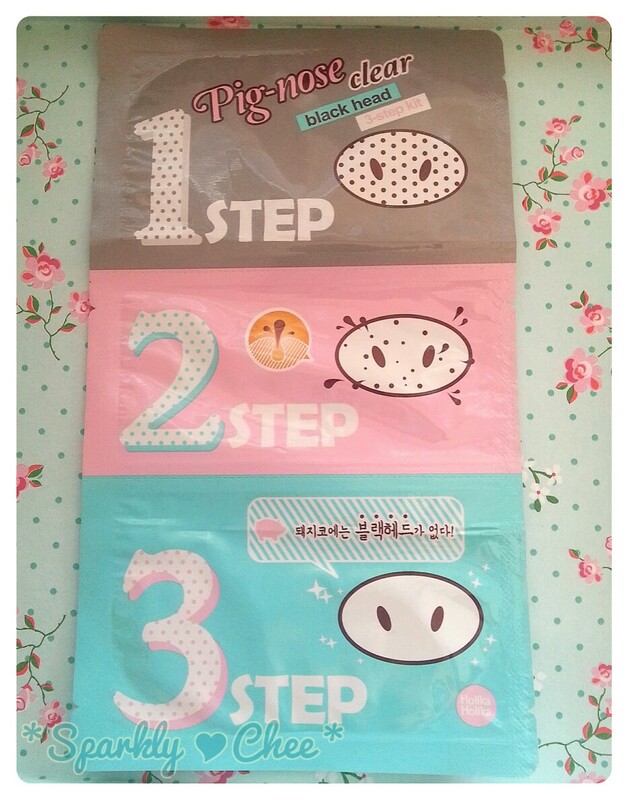 So this review will be a simple sheet mask that I've used today! I've been quite obsessed with sheet mask these days and I want to try out as many types as I can, so I saw this Holika Holika one and was quite intrigued with it's naturalistic packaging. It looked really refreshing, and I was hoping this would smell like mint too! I love the colours and the picture on this packet, looks really relaxing! 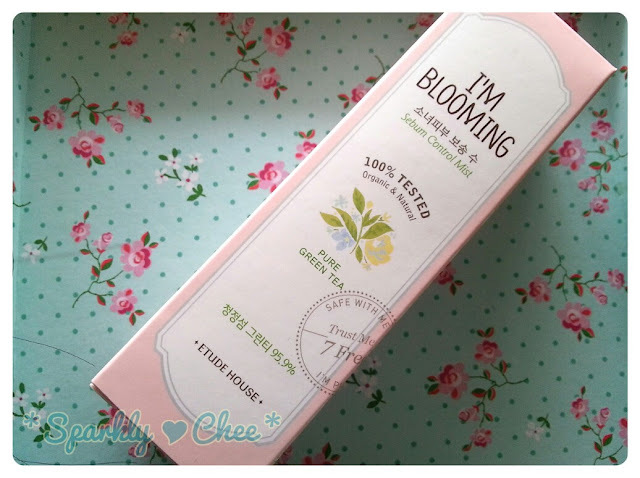 Today I have another review from Holika Holika! 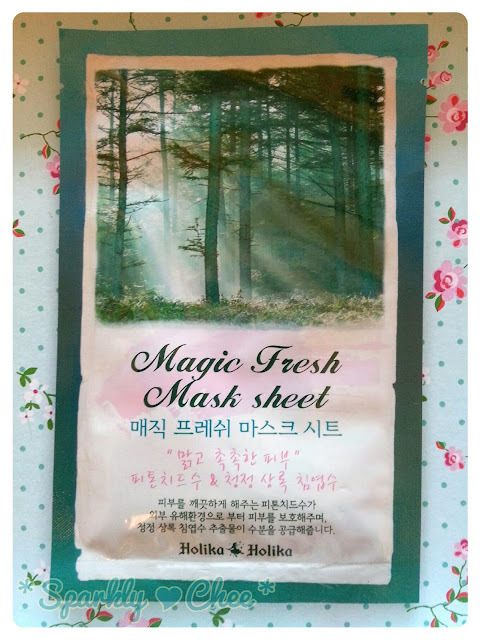 This is another product that Holika Holika Canada has sent me a few weeks ago for review, thanks! So this is the 3-Step Kit is from the Pig-nose (cute name :D) Clear Blackhead line that Holika Holika has, all of these products deal with the problem of back heads (of course)! You can check out all the products here! I usually try not to use nose pore strips too often, as I've heard it can actually irritate and enlarge the pores. 0.0 But it's been a long time since I've last used one, and my nose has accumulated quite a bit of nasty bits, so it's time! Looks like an all inclusive kit that should do it's job thoroughly! 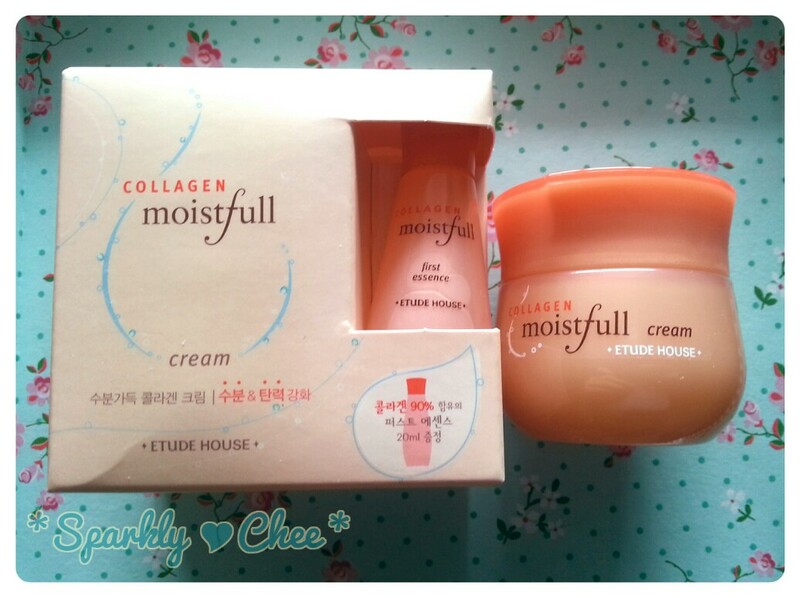 Today I'm going to review the Etude House Moistfull Cream and Essence! I bought this few weeks ago, and at first I was using it in the mornings and nights, but I found out it wasn't that great in the mornings (I'll explain later), so I'm just using it at night nowadays. The essence is in a mini size that came as an extra with the cream *_* and I have never used an essence before so I had to look up what it does. Basically this essence contains Baobab tree extract which brings moisture and collagen to the skin to be fully absorbed. I suppose it penetrates deeper into the skin than a moisturizer, and contains more hydration properties. Anyways this product was sent to me by Holika Holika Canada for review! 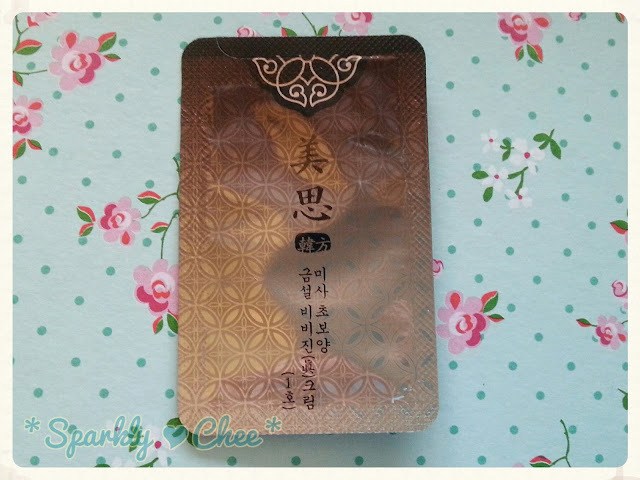 ^^ I'm really excited to try it out since I have never tried this type of exfoliator before! At first I thought it was a mask of some sort, but it's actually a exfoliating pad that you slip on your fingers!